We have a great selection of bulbs including all the old favourites such as daffodils, Crocuses and tulips. As well as these, we also stock more unusual varieties and bulbs such as Camissias and fritillaries to give your garden more variety. Now is the ideal time to clear out plants which are past their best to make space for new stock. Sweep up dead leaves, rotting flowers and foliage, and clean the glass. Use Jeyes Fluid to disinfect benches, pots, and tools and water butts. To improve the texture, drainage and nutrient content, dig over the beds, removing weeds and stones. You do not need to worry about any large clods as these will be broken down by winter frosts. Cover the bed with river sand and a good layer of well-rotted manure or garden compost. This can be lightly forked in, or just leave it for the worms to drag into the soil over winter. Decide where you want the plants to grow, and clear away any weeds. Sow the seeds according to the instructions on the packet, and watch and wait! Lift main crop potatoes before the slugs get to them! Also, if left too long, they could be affected by blight. 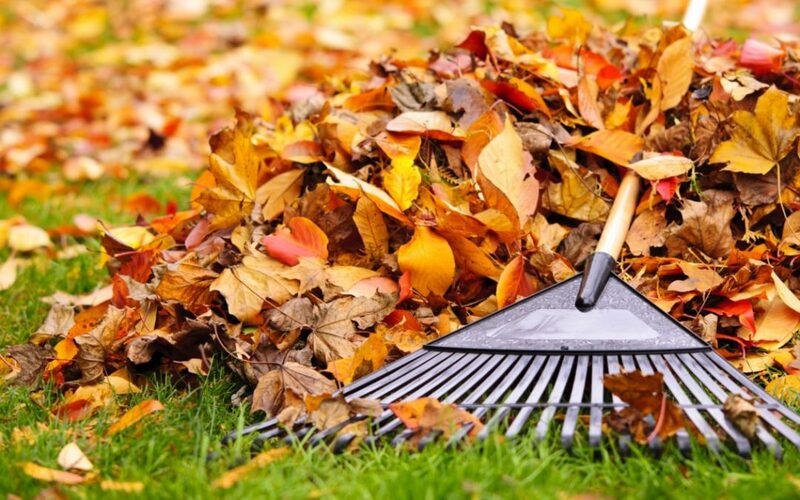 To prevent paths becoming slippery and lawns ruined by piles of rotting leaves, regularly rake up leaves to prevent it becoming a mammoth task. These can be put in black bags and left for approximately 18 months, producing leaf mould which can then be spread on beds and borders. Cut down to ground level all stems which have fruited. Wear heavy duty gloves to protect your hands from the thorns.